Whether it's Overdrive, Cloud Library, Axis 360, RBdigital or enki Library, your patrons can find, download and read all of the eBooks you purchase using a single app -- SimplyE. Califa is managing a California State Library SimplyE grant that is laying the groundwork for deploying SimplyE as a subscription service. 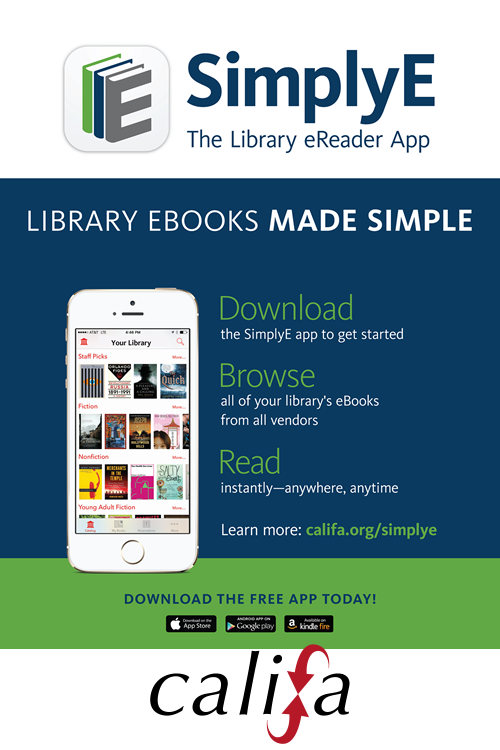 Our first California library SimplyE deployment will go live in November for Alameda County Library. Califa offers a hosted subscription solution for libraries who want to deploy SimplyE. Our turnkey SimplyE subscription service includes full system implementation from ILS authentication to eBook vendor and SimplyE app integration.